You’re sleepy, tired and at your wit’s end. 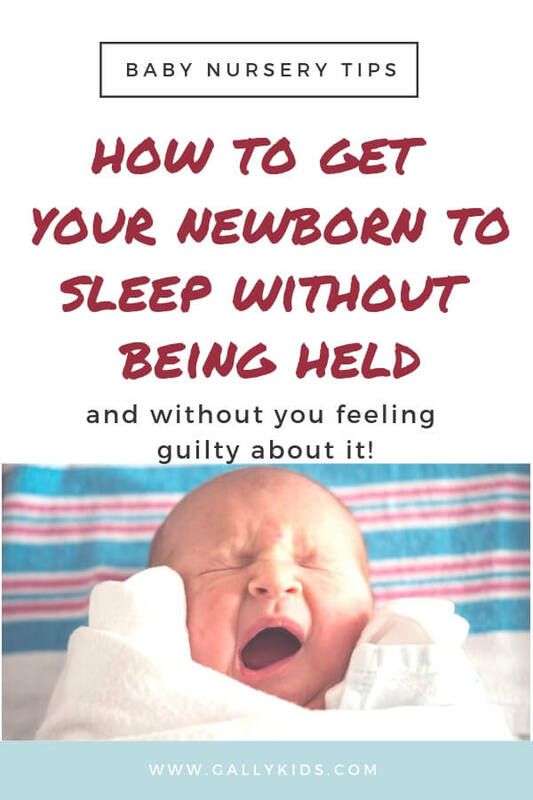 Your newborn baby can’t sleep without being held. Worried that you’ll spoil him if you hold him too much. That he will never learn to sleep by himself. That you’ll have to carry on doing this forever! Be gentle on yourself. Especially if this is your baby’s first few weeks. This is just a phase and it will come to pass. Remember, it’s only a problem if you make it a problem. 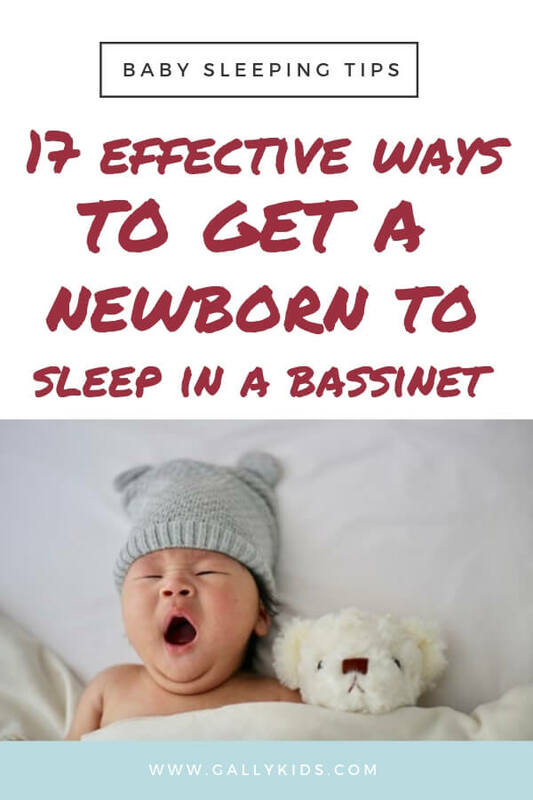 However, if you’re convinced that it’s time to stop to get your newborn to sleep without being held, then here are some tips and tricks to making this come true. I know you’re very tired and you need your sleep. So I hate to break this. But during the first few weeks, give your baby a bit of slack. From swimming in amniotic fluid to breathing oxygen — it’s a pretty tall order for someone so little to have a routine as we do. Tip. If you’re so tired, you feel like you’re losing it, then get help — from a spouse, a grandparent, an aunt, or a friend during the day. Also, don’t take in any more responsibilities, if you can help it. During the first month, focus only on you and the baby. Start with this. It’s the easiest thing you can do. 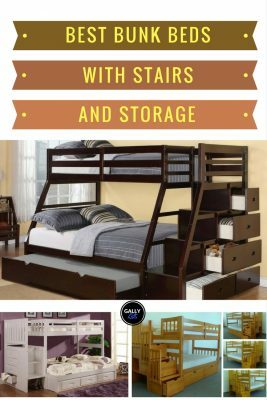 This means making changes to the bedroom where your child sleeps so it’s warm, familiar, and cozy. Make the bed warm. Babies don’t like to sleep on a cold bed. Here’s a nifty trick. Put a water bottle or heating pad on baby’s bed before he goes to sleep. Then take it out just before you lay him down to sleep. This leaves him a nice warm bed to lie on. Don’t leave the water bottle on the bed. Make sure your baby is not too hot nor too cold. The ideal temperature for infants is about 65F (18C). It’s best to make the room slightly cool than too hot. This is part of training your baby to associate darkness with going to sleep. Feed in the bedroom with the lights turned down low. If the room has big windows with lots of light coming in, use a black-out curtain. Yes. just like a puppy. I haven’t tried this. But some moms swear by putting a used piece of small clothing on the bed so the baby feels comfortable with your smell. Make sure the piece of clothing is not loose on the bed as this can potentially cause breathing blockage. From what I’ve read, you can put the shirt on the side of the crib that’s far from the baby. Another thing that you can do is to sleep with an extra crib sheet for 1-2 days so that it has your smell and then use that sheet on the mattress. A baby doesn’t instinctively know that she needs to sleep at night until 60 days from birth. This means that she´s physically and mentally unable to put sleep and nighttime together until 2 months. So you can’t expect her to know that nighttime is time for a long uninterrupted sleep. But you can start training her now so that when she’s biologically ready for the concept of nighttime sleep, it’s going to be a much easier transition. It means actively separating activities and behavior in your family between night and day. Your activities during the day are very tightly related to what happens at night. Stimulate your baby during the day. Play games and activities. Read lots of books. Take her outside — always take her outside. The fresh air is good for her. Never get your baby to sleep for a long time during the day. This could massively affect the quality of her sleep at night. A nap is a nap. If your baby tends to sleep for a long time, you’ll have to wake her up. It sounds a bit cruel and you won’t like doing it, but it helps greatly with night time sleep. Also, during the day, don’t worry too much about noise. Your baby doesn’t need the same quiet and dark environment associated with nighttime sleep. In fact, according to Dr. Harkey Karp, the baby whisperer, babies are very used to noise because being in the womb is a noisy experience. Here are some ideas to keep your baby entertained during the day. Remember that at 0-3 months old, babies look for someone they can trust. This means they respond well to your cuddles, your touch, and your voice. Your baby needs a lot of sensory stimulation. Also, limit using toys for entertainment at this time. Instead, play and talk with him more. Here are some things you can do. Read books. Use black and white books. Babies’ eyes are not yet fully developed at this time but they can see contrasting colors. When your baby’s umbilical stump has fallen off, do floor time play. Remember your baby doesn’t know that night is for sleeping. So train her to know that it is. Dim the lights, refrain from any activities, have a bedtime routine. A nighttime routine slowly trains your baby to learn to sleep through the night. You can do any routine that fits well in your family’s schedule. Make it calm and void of activities that excite her. 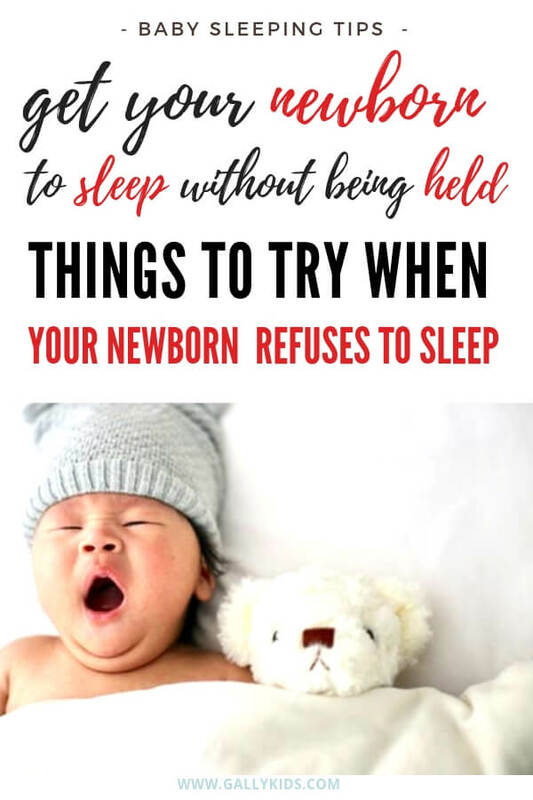 When learning how to get your newborn to go to sleep without being held, there are some basic things you need to know first. One of these is knowing the signs of a sleepy baby. Each baby will show it in different ways. So don’t expect to know it right away on the first day. But generally, these are the signs to look for. Your baby may show one or more of these signs. For babies 0-3 months, you can also try listening for their crying language. Priscilla Dunstan has discovered that newborns cry in different ways depending on the sounds of the cries they make. Here are the 5 main crying baby cues and one of them helps you know when a baby is sleepy. You can use a machine, an app, a youtube video or a fan. Keep the noise down as playing it too loudly can damage your child’s hearing. Some babies easily fall asleep to soothing and gentle lullabies. My son never liked being swaddled, but I know a lot of parents use and love it. So it’s one thing you can try and see if your baby likes it. Here’s a video on how to swaddle a newborn. Some babies like to fall asleep holding a blanket or a toy. Remember though that this can come back to bite you. Some babies cry and wake up when they lose the toy in the night. Oh, the things I would have given up if my son took to a pacifier when he was a baby. I knew a lot of babies who only needed a pacifier and they’d be asleep. I was so jealous. I know that it’s a very effective baby sleeping tool. But only if your child likes to use it in the first place. I tried many different pacifiers. My son just spat it out. You may think that a very tired baby will go to sleep faster. This could not be farther from the truth. In fact, an overtired baby will have difficulty going to sleep and will wake up more often at night. Sometimes, some babies just want to sleep with you. My personal recommendation is to go with the flow, for now. You can lie down with him until he falls asleep and then you can put him on his bed. You can even use a bassinet with you lying down on the side so he knows you’re there. This is all temporary. And it will happen so quickly. So if your instinct tells you to spend more time with your baby, just go with it and see what happens. 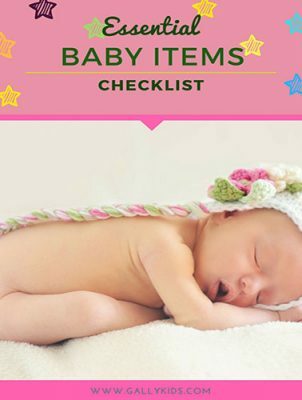 Have you tried all the advice here but your baby still refuses to sleep? 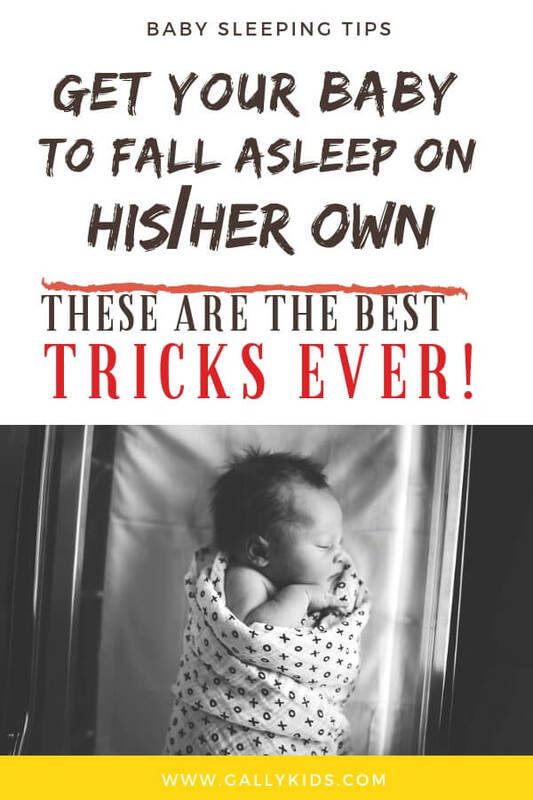 Check out these amazing hacks and tricks that desperate parents use to get their baby to sleep – One can even get a baby to sleep in minutes! Sleep training is a contentious topic. Parents are pulled by many sides, each one clamoring their sleep training method is the one that works. Often, the only way to find out if it works is to try it. Start with the one that feels close to your heart. If you try something and it doesn’t feel right, don’t do it. You’re in control of this. Trust your gut. The Cry it out method is a spectrum of many different styles. However, it is Dr. Ferber’s method that many sleep trainers advocate when they talk about Crying it out. Here’s how you do it. Feed your baby. Don’t let him fall asleep while feeding. When he’s full, put him to bed when he’s sleepy and awake. Kiss him goodnight, a slight tap and softly tell him to go to bed. At some point, either immediately or a few minutes after, your baby will start crying. Leave him to cry for 3 minutes the first time. After 3 minutes, go back to the room. Give him some assurance. Don’t pick him up. Put your hand on him and say, “Shh… time to sleep now”. Make it as calm, plain and void of excitement. When he stops crying, leave the room again. When he cries the second time, wait 5 minutes before you go to the room. Again, comfort him with the usual plain manner. When you leave the room the third time and he cries again, wait 10 minutes before you comfort him. Stick to going back every 10 minutes until he falls asleep. That’s only the first day. The second day, go through exactly the same routine. But don’t with 3 minutes. If you stopped at 10 minutes the night before, start with that. As the days go on, increase the interval between crying and going back to comfort at longer and longer intervals until your baby learns to sleep without crying. 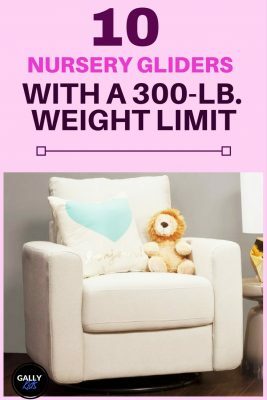 The chair method is for parents who don’t like the idea of leaving their crying baby alone in the dark. You stay with your baby in the bedroom while he’s crying until he falls asleep. Put your baby in bed sleepy but awake. Position a chair near the bed. When your baby cries, go to the chair and sit there. Make this as boring as possible. Watch Youtube on your mobile phone with headphones on, read a Kindle or even better, pretend to be asleep. Just make sure he sees you and he knows you’re there. You can do some verbal comfort or touch him a little, but keep this to the minimum (optional-a variation). Then always go back to your chair. Your child will most likely keep crying. Hold your ground and stay on the chair without picking him up. Wait for him to fall asleep. Then leave the room. If he cries again, go back to the room and sit on the chair, doing the same thing. That’s for the first 2 days. On the 3rd and 4th day, put the chair a little bit farther than the night before. Lessen the amount of interaction with your child. Move the chair farther and farther away every two days until you reach the door. If your baby still can’t soothe himself at this time, move your baby further into the hall within view. At this point, when he cries, don’t show up right away. Delay going back to the chair every night thereafter. If you’re looking for a gentle sleep training method, you’ll love the Pick Up Put Down Method. Put your baby on her bed sleepy but awake. If she cries, listen before you go in. Is she just fussing a little bit getting ready to sleep? Then don’t go back in. If however, it feels like he’s getting upset, then go back to the room. Put your hand on her chest and reassure her that you’re there. Say “Shhhh.” or “it’s time to go to bed now”. If she keeps on crying, pick her up and comfort her until he calms down. Then put her back on the crib again. Leave the room when she’s in bed, calm and falling asleep. If she cries again, then go back to the room and do exactly the same thing. Gentle touch and reassurance. Wait if she settles. Pick up if she sounds upset. Then put her down when she calms down. Keep doing this until she learns to fall asleep on her own. 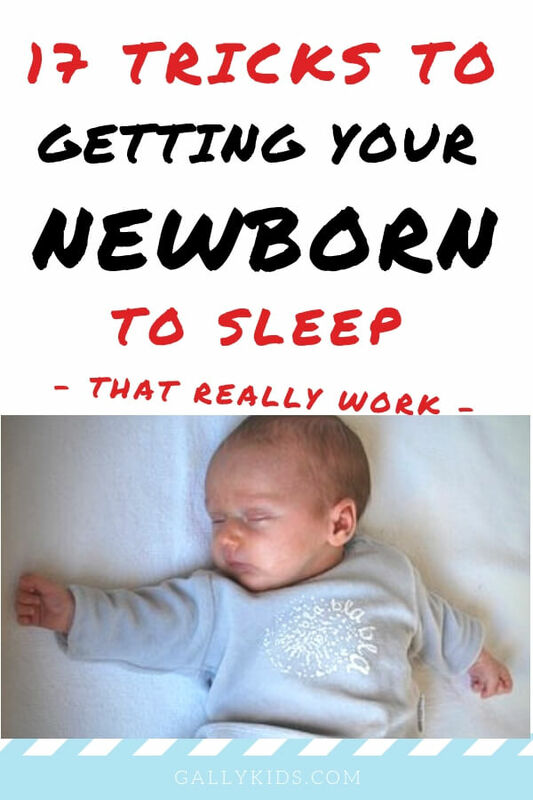 Start sleep training only when your baby is mentally and biologically ready for it. You can’t sleep train a baby if there are some other underlying reasons for his cries like colic or other illnesses. So rule these out first. Only sleep train when you feel that the reason your baby can’t soothe himself is that he has attachment issues. Don’t sleep train a newborn. Be consistent so your baby knows and understands what you’re getting him to do. 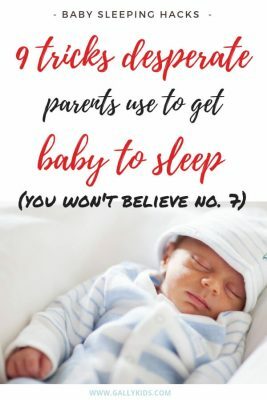 Want more baby sleeping tips? 9 sleeping hacks that desperate parents use? 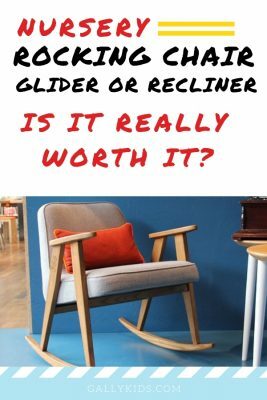 Do you need a rocker or glider in the nursery? What age is best to start sleep training? Some babies are ready for sleep training at 4-6 months old. However, every baby is different. And for most babies, you probably have to wait longer than 4 months before training him/her to sleep. I say that after the 4 month period, start considering it. But don’t just think about yourself. Especially consider if your baby is ready for it or not. This involves listening to your gut as a parent. Can You sleep train a 3-month-old? Yes, some 3-month-old babies can be sleep trained, but it’s not recommended. Also, consider your baby’s own temperament. If you’re training your baby this young, why not start with the gentle no-crying PU/PD method first. Can I spoil my baby by holding them too much? The only way a baby knows that he’s loved, protected and safe is through the loving and physical presence of his caregivers. Holding them, talking to them, giving them their primary needs is the way you show that you’re trustworthy. This relationship between you and your baby is important in healthy brain development and protect it from the negative effects of stress. Your baby is not born with the manipulative streak of a toddler. So when you hold him, you’re not spoiling him. You’re only doing what a loving, protective parent must do. How do you wake a sleeping baby from a nap during the day? Do it gently so she doesn’t go into a screaming fit. Start with opening the windows or open the curtains. If she still doesn’t wake up with the bright lights, then take off his swaddle or sleeping sack. Still sleeping? Pick him up from his bed and change his diapers. Can newborns sleep in the crib right away?